I had seen these kinds of milkshakes going around Pinterest, and just had them try it for myself. Verdict? They are pretty darn good! I especially loved the Red Velvet one. Yum! 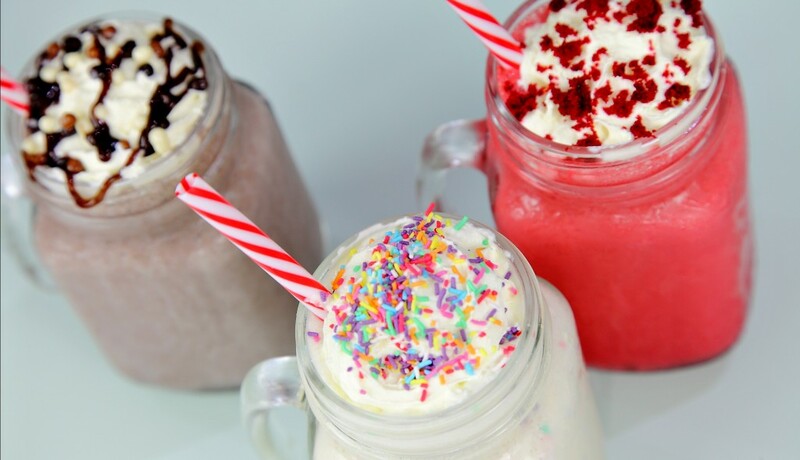 Mix ice-cream, milk and cake mix in a blender with any flavour oils. Stir in sprinkles if needed. Pour into a glass, and top with whipped cream and toppings.